These past few years, BodyGuard treadmills are slowly making a name for itself by providing great value with their equipment. Numerous respected treadmill resources have been giving BodyGuard Fitness and their products excellent review and for good reason. They have been improving their treadmills year after year. BodyGuard fitness equipment are not for bargain hunters. Most are high end units so I do not recommend this to people who are a little short on the budget. 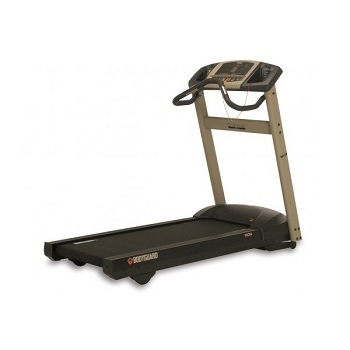 If you’re looking to save money on your new treadmill then I suggest you visit our best buy treadmills page. BodyGuard Fitness has been manufacturing treadmills and other exercise equipment since the late 60’s. They have more than 30 years of experience in the industry. But it was just a few years ago when they had a corporate restructuring did the company start to get noticed by experts. BodyGuard belongs to parent company Procyle, one of the biggest manufacturers of bicycle and fitness equipment in Canada. Procycle is certified ISO-9001 since 1996 which says a lot about their quality. Currently, the BodyGuard brand offers a wide selection of treadmills, elliptical trainers, exercise bikes, and steppers for both home and commercial use. A BodyGuard can range from a little below $2,000 up to as high as above $4,000. With this price range, I’m sure not everyone can afford it. However, in terms of value, expect get excellent quality for your money. If there is a weakness in these treadmills, it would probably be that some of their older models do not come with a heart rate monitor. Considering that they are priced $2,000 and above, one would already expect it to at least have a pulse grip sensor. Newer Bodyguard models doesn't have this problem anymore. They all come with heart rate monitors while some even come with wireless monitors. However, prices of these new models were raised while their specs and features were lessened a little. Therefore, these new Bodyguard treadmills no longer offer the same value that older Bodyguards became known for. 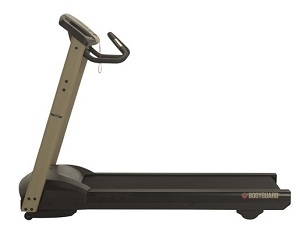 To conclude, BodyGuard still manufactures some of the better treadmills in the market today. But if you are going to buy from this brand, you would be better off buying some of their older models. Although most of them have been discontinued, they can still be bought on some auction sites or classified ads sites. If you have decided to buy a BodyGuard then I suggest you visit BodyGuardFitness. It is the official site of BodyGuard Treadmills. But before you buy, you may want to read our reviews (or make your own review) on individual BodyGuard treadmills below to help you find the one that suits you best. Others: This is a simple machine that offers just the most basic of features. Others: A $4,500 treadmill that comes with all the features you'd expect from a high end machine. Below are some of the older treadmills from BodyGuard that have been discontinued. I won't take down these reviews yet as some of these machines are still being sold by some auction sites. Others: This was most likely the best China-made treadmill in the market when it was introduced. Others: This machine was similar to the T240 above but with an orthopedic belt. Others: Another excellent machine from BodyGuard. It came with numerous features and a powerful motor. Others: Hands down this was the best treadmill from BodyGuard in terms of providing value. Have You Tried a BodyGuard Treadmill? If you're using or have used a BodyGuard, chances are readers of this site would love to hear from you. Write about your experience! It's fun, free and easy to do.